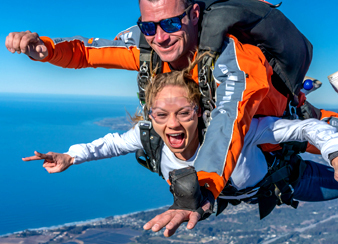 Tandem skydive with breathtaking ocean views! 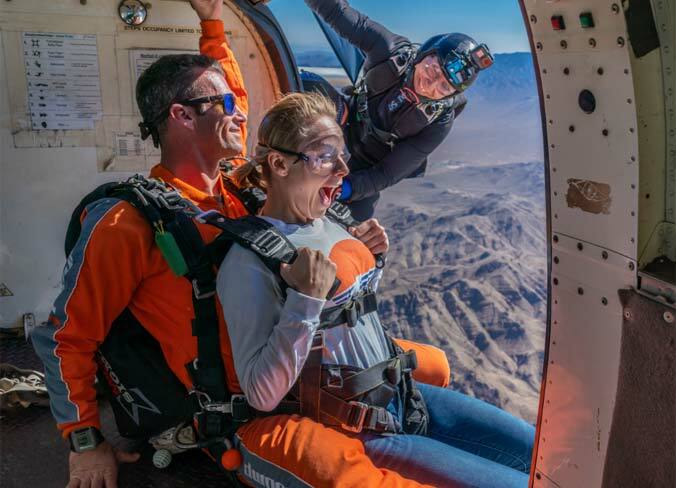 $5 fuel surcharge on each Tandem Skydive in effect Oct. 1, 2018. 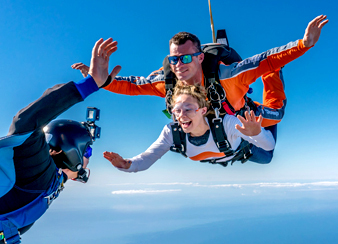 A professionally edited video of your experience start to finish including footage taken with a camera mounted on the hand of your tandem master. 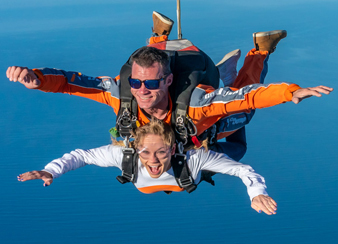 A professionally edited video of your experience start to finish, including footage taken by an an extra "outside" professional video flyer showing you skydiving over the Pacific Ocean ! A fantastic combination of inside and outside video giving full 3D coverage of your experience. You can even add high res SLR style photos.